Photo taken in Grand Prairie, (Westwold) B.C. The first settler in our community was an American by the name of William Henry Ingram. 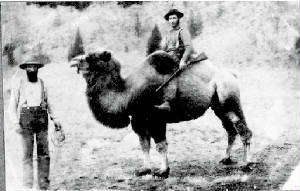 He was a part of a syndicate that brought camels to B.C. to be used as pack animals on the Gold Trail. This venture proved unsuccessful for several reasons. All of the horses and mules were terrified of the camels and their feet never held up on the rocky terrain. Ingram brought several camel to "Grand Prairie" (the name was changed to Westwold in 1928} when he settled in 1864. The last camel was put down, as she was ill, on Ingrams ranch in 1896. Grand Prairie was a very important stopping place between Fort Kamloops and the Okanagan and a hotel was built in the 1890's and another around 1910. Of course things changed with the automobile and the valley ceased to exist as an important stopping place. Today the valley is fed by farming and the forest industry. Westwold is situated half way between Kamloops and Vernon, B.C. on Highway 97. Stop by for a visit if you are in the area. 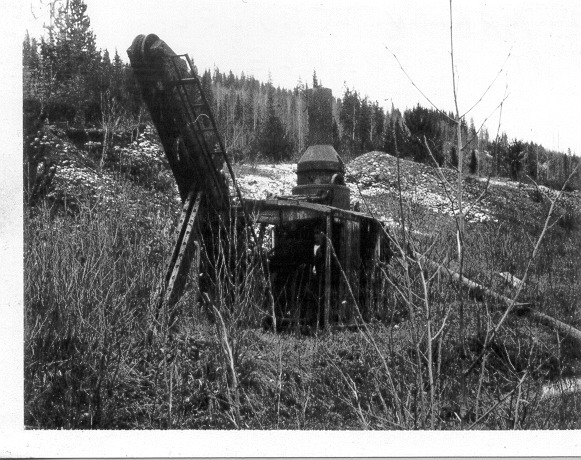 Steam powered sawmill. We have acquired three more Case Traction Engines, we also have a Case portable and a Haggart Brothers Portable that was used in our community in 1906. We are sorry to tell you that there will not be a Show this year. We have ran out of time...full testing of boilers is not possible.